Britons are bracing themselves for the UK’s imminent departure from the European Union. A worst-case scenario would see our country leave without a deal. Prime minister Theresa May’s Brexit offer has been defeated in the House of Commons – by more than 230 votes. It was the biggest defeat on a piece of government legislation in modern history. And one sector which could suffer if a deal isn’t passed is healthcare. 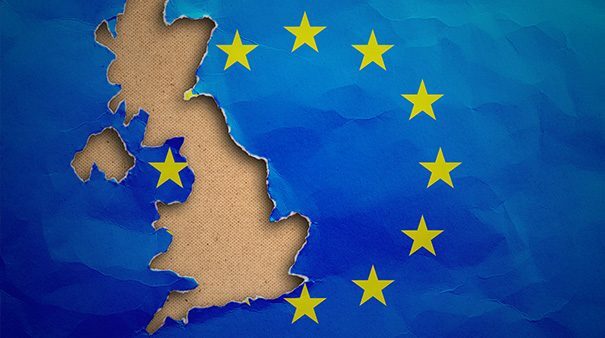 A no-deal Brexit threatens the future of the NHS, puts a significant strain on staffing numbers, and poses a risk to the future of research and medical development. Last week, the government outlined plans for EU citizens wishing to come to the UK in the event of a no-deal Brexit. ‘Temporary Leave to Remain’ grants them the same rights as they have now: they can live, work and study freely. But it only lasts for three years and there is no extension beyond this point. Those who wish to stay will have to apply for Indefinite Leave to Remain or apply for a Tier 2 Visa. That could be a long, arduous and expensive process. The risk this poses to the healthcare sector is huge. Around 139,000 of the NHS’ 1.2 million staff are foreign nationals – that equates to one in eight. Almost half of these are from the EU. The loss of staff has already been felt among nurses; the number of those from the EU who joined the Nursing and Midwifery Council (NMC) has fallen by a staggering 90 percent since the Brexit vote. “Nurses and health visitors are the only staff group to record a fall in the number of recorded EU nationals since the EU referendum,” the House of Commons library states. Many more, unhappy with the new rules, may simply choose to leave. A survey by the British Medical Association (BMA) found nearly half of EEA doctors were considering leaving. The government has already set-up a ‘troubleshooting’ taskforce in the event of a no-deal Brexit to prevent the loss of hundreds of key staff who may choose to uproot. And what about those who work in research and medical development? One in six academics from our universities in the industries of medicine, dentistry and health are from EU countries. They rely on crossing borders for projects. In a recent survey of researchers, more than 75 percent had lived abroad for training or work and almost half for more than a year at a time. If these people don’t choose to stay here or find the new rules laborious, that could hamper Britain’s own medical research and damage our global reputation. Some of these academics may be working on clinical trials which could come to an abrupt end with a no-deal Brexit. Any trial that’s underway where there is a legal sponsor in Britain would be required to find another one by the time Brexit day happens. Again, the bureaucracy of this could damage the ongoing research. There could be further damage to the UK’s arrangement of reference networks, which helps people with rare diseases. Currently, the UK coordinates six of Europe’s 24 reference networks. As the Nuffield Trust says in its report, “any potential loss of involvement in clinical trials and in rare disease networks is obviously bad for patients who lose access to treatments and expertise”. In the event of a no-deal Brexit, the UK wouldn’t be included in this. Nor would the UK have to conform to the rules under the Clinical Trials Directive. This sets the standards for the execution of clinical trials and the placement of medicinal products on the market. It improves transparency, has detailed safety provisions and makes it easier for companies to carry out transnational clinical trials. Not adhering could damage the UK’s reputation for clinical trials and medicinal production. Not only then could the rules change, but so could the access to funding. One of the ways for research and trials to get money is through the EU’s Horizon 2020 – a seven-year project which will cost 70 billion euros. Some have already raised concerns that the UK is being shut-out of bids due to the continuing uncertainty. Switzerland’s attempts to access the fund have only been successful because it has accepted the free movement of people. But the UK has made clear on its intention to end this, so it’s unlikely we would be included. The UK has already been involved in 1,000 EU projects. The BMA estimates that between 2007 and 2017, the UK received the highest level of funding from these projects at £1.2 billion. Leaving the EU without a deal means we would no longer be involved, and could lose not only the funding, but the training and career opportunities that these offers provide. For medical supplies, there would be a sharp increase in red-tape and barriers to trade in the event of a no-deal. The British Retail Consortium estimates 44 barriers to medicinal trade would exist. Stockpiling of medicines in the event of a no-deal is already underway. Two-thirds of medicines imported to the UK come from the EU, but there has been a shortage of some medical supplies for some time. The Department for Health has listed 80 such medicines, up from 45 in October. But in a no-deal scenario that situation is likely to worsen. Even products made in the UK could be affected if they rely on ingredients imported from the EU. Reciprocal arrangements between the UK and EU would also cease to exist. The 190,000 pensioners, for example, who rely on the S1 programme for health treatment abroad would no longer have access to it. This could leave those people in a very precarious position. The Nuffield Trust estimates that if these people return home, the NHS would need an extra 1,000 hospital beds to meet the demand. This, along with a lack of medical supplies, would place an extra burden on the health service. It’s clear there are huge risks which face the healthcare sector in the event of a no-deal Brexit. It could lead to the loss of hundreds of staff, damage our ability to conduct transborder research and lead to a huge loss of funding. For anyone interested, even remotely, in the future of our healthcare sector, they should get behind the initiatives to stop a no-deal Brexit happening. Not to do so could be catastrophic for the sector. Jack Gevertz is a content writer for the Immigration Advice Service’s website iasservices.org.uk; an organisation of UK immigration solicitors which provides legal support for those looking to migrate to the UK or hire overseas workers.